For quality and fun, our Vented Metropolitan Umbrella features a 2-tone rubberized handle, extra-wide printable tie, and a square wind vent. With our innovative three-step windproof frame, you get big coverage with an umbrella that folds to just 12" long. Limited quantities available. Prices only while supplies last! Can't decide between a folding and a golf-sized umbrella? This hybrid model gives you the best of both with a 58" arc - enough to fit 2 or 3 people - and a folding length of 22". 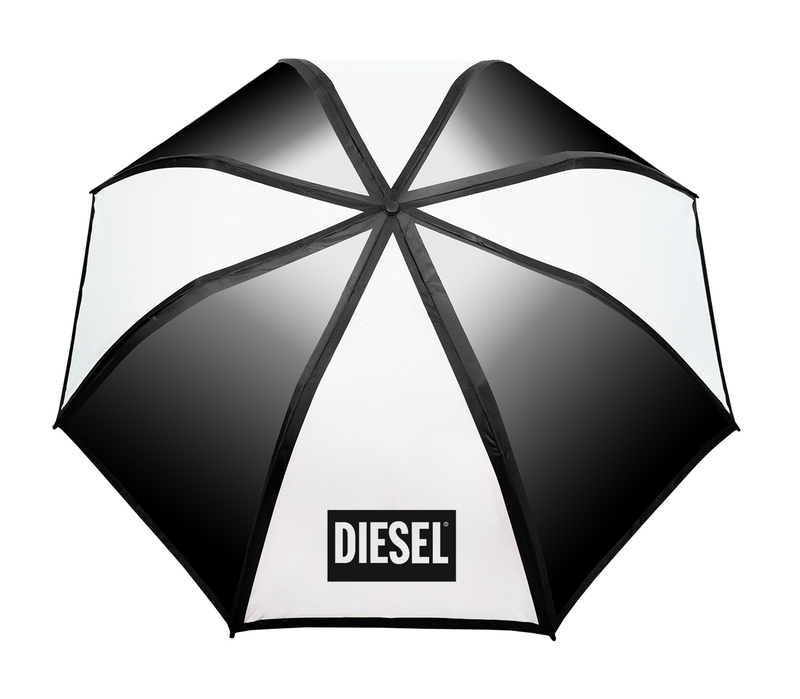 The Vented Little Giant Umbrella is one of our most popular models and has a wood handle (with corded wrist strap) ready for engraving logos or names. Folding to just 11" long, The Vented Mighty Mite Umbrella earns the name with its compact size and powerful automatic opening and closing feature. This sleek design and square-shaped vent gives you great protection in style. The Vented Director Umbrella spares no luxury, boasting superior quality that makes anybody feel like an executive. It has nearly every desirable feature, including auto-open & close operation, an oversized 46" arc, compact folding length, and a windproof frame construction. The square wind vent and handle's wood trim add additional impossible-to-ignore flair. For ultimate brand visibility, not only is this one of our largest folding umbrellas, but it also comes with our unique alternating gradient panels designed to give your logos extra pop! With a 58" arc and folding length of 22" this umbrella is easily portable and big enough for two. With the push of a button The Vented Paramount Umbrella confidently springs open revealing a massive 64" arc and its matching colored fiberglass shaft. Sturdy, sleek and sizable—all qualities that make this a great option whether on or off the golf course. The Ultra Value Golf Umbrella is simple and dependable. It features a 58" arc, comfortable foam-grip handle, and auto-open operation. This is a great quality umbrella at an unbeatable price. Because of its large coverage, it can be used on golf courses, the street, in the hands of doormen, and more. Take shelter with our heavy-duty golf & sporting event umbrella. Of the highest quality and durability, The Vented Club Canopy is a fantastic standard golf umbrella, making it consistently one of our top sellers.